FOUNTAIN GREEN, UTAH - JUL 2015: Tractor turns in wheat grain agriculture field harvest 4K. Small family owned rural farm grow hay, wheat, barley, oats and grains for human food and livestock feed. 4k00:31FOUNTAIN GREEN, UTAH - JUL 2015: Tractor approaching cutting wheat field agriculture 4K. Family owned farms grow hay, wheat, barley, oats and grains for human food livestock feed. Mountain valley. 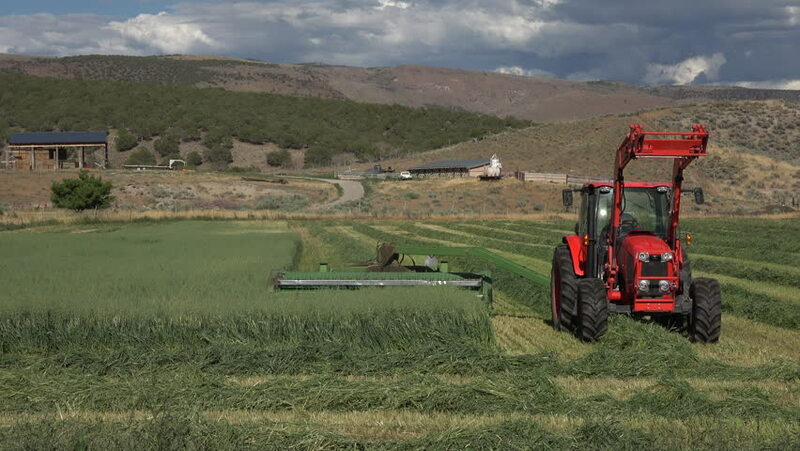 4k00:29FOUNTAIN GREEN, UTAH - JUL 2015: Farm tractor wheat field rural agriculture fast motion 4K. Small family owned rural farm grow hay, wheat, barley, oats and grains for human food and livestock feed. 4k00:30FOUNTAIN GREEN, UTAH - JUL 2015: Farm tractor turns end of wheat field rural agriculture 4K. Small family owned rural farm grow hay, wheat, barley, oats and grains for human food and livestock feed.